USB can only provide 2.5W per port. 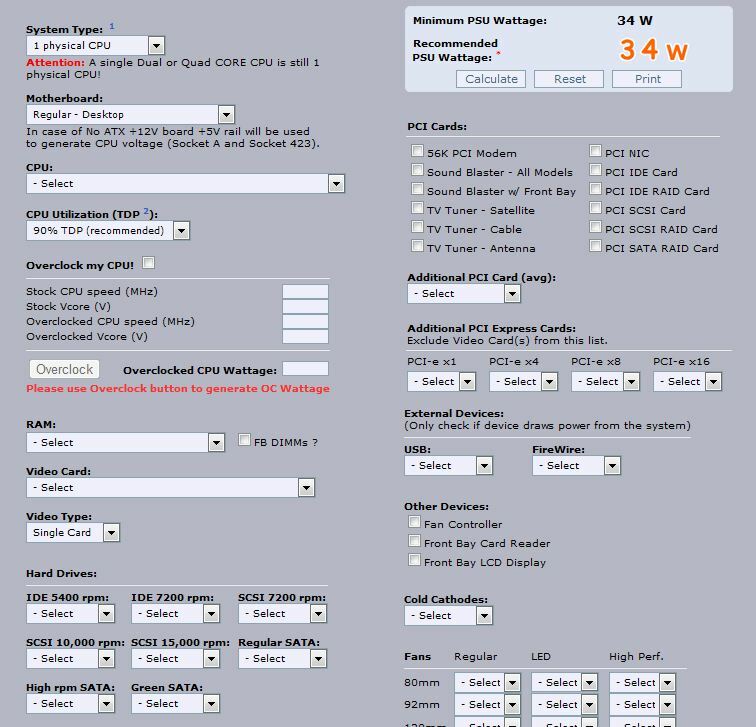 I doubt 5W is going to change your PC from being stable to random errors - if it was running that close to the edge of the PSU you'd be getting more issues. Sounds more like a dodgy caddy/controller on the external drive. Try either testing the drive internally (take it out the box, plug it in with IDE/SATA); or a different external disk. This site has a power supply calculator that should help you. You fill in all the parts your computer has and it will calculate the recommended amount of Watts. Worth their weight in gold over time. How to identify replacement for power supplies used in small form factor PCs? Cable Extension for power supply? How do I know if my hard drive has enough power? Why is my PC hanging when I insert a DVD?